Black Metallers NORDJEVEL, have today revealed the details and artwork for their upcoming debut full-length album which will be released on Osmose Productions on the 29th January. 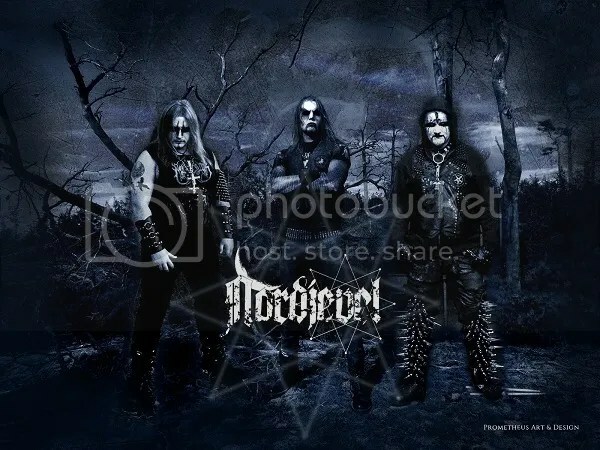 Titled “Nordjevel” the nine-track album will be released in digipack and digital editions which will be followed by a vinyl version on a date as yet to be announnce. Aside from a bonus track which it shares with the digipack version, the vinyl version will, unusually, be completely re-mastered, giving it a totally different sound from the digipack and digital editions. Re-amped, mixed and mastered by Patric Darkhyrys G at the WSL Studios in France, “Nordjevel” features guest appearances by TROLL’s Nagash and 1349’s Archaon. Paintings and design layout for the album is by Khaos Diktator Design. 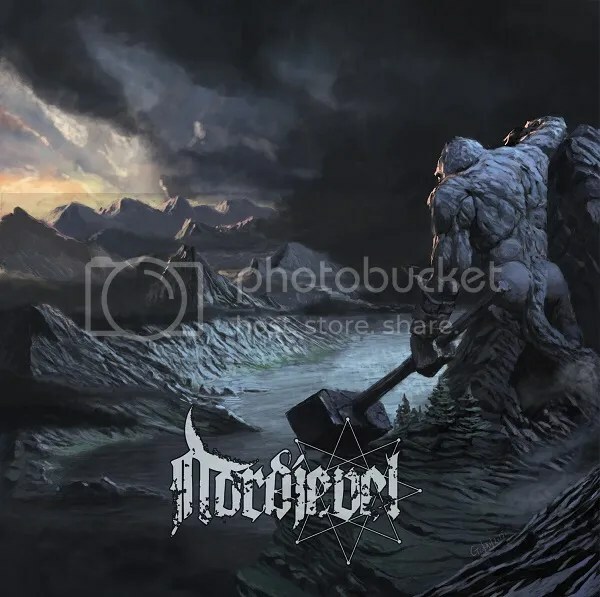 NORDJEVEL, which translated means “Northern Devil”, was founded by frontman Doedsadmiral (SVARTELDER, DOEDSVANGR) and guitarist Nord (FATAL IMPACT, TVANGESTE, BYRDI) earlier this year. The Norwegian duo was quickly joined by Sweden’s Fredrik Widigs (MARDUK) on drums. The band’s arrival on the scene immediately elicited a large amount of interest not just from fans, but also from labels who were keen to add a band with such a formidable lineup to their rosters. Not only is it a lineup that has a great deal of experience behind it, it is also one whose members jelled immediately, both in terms of their views on Black Metal and in their ability to harness their respective musical talents to produce the distinctive NORDJEVEL sound. Whilst Widigs’ commitment to his other projects pretty much preclude him. from committing to appearing live with the band on anything other than the odd occasion, he is, nevertheless a full-time and committed studio member.